Sphero by Orbotix is one of those products that you really should have heard about by now, because it is so awesomely cool. If you haven’t, here is a general idea: imagine a ball that you can control its rolling with the use of an iPad, iPhone, or other Android smartphone. I have seen the Sphero at conventions for years, and I finally got a chance to try one out. 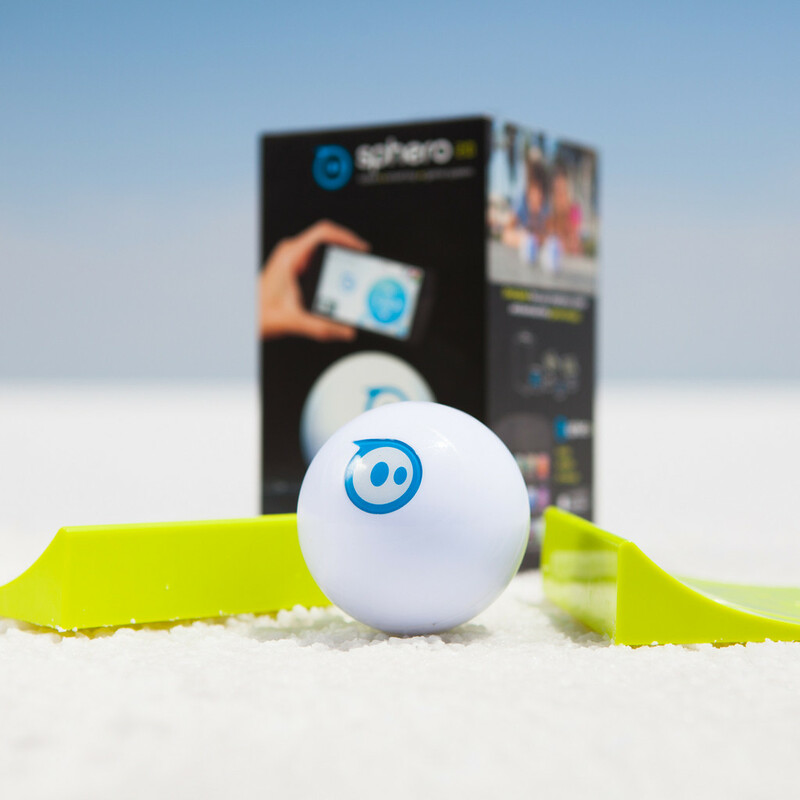 This is the Sphero 2.0, and it is 3 times brighter and twice as fast as its predecessor. Once you get it out of the box, you put the Sphero on this pedestal charger where it gets its energy to roll. I had a little bit of a tough time hooking it up to my Android smartphone, as you must have to tap the Sphero to sync it via Bluetooth. A few times that I opened the free app, sometimes it would not sync up. I had a difficult time controlling it, at first. I gave my son a chance to try it out, and he was very adept. It really was cool as it rolled fast at 7 feet per second and glowed with many colors. My dog kept wanting to bite it, and I was surprised that it is pet proof. By the way, it is also waterproof. In addition to the rolling around fun, you can also get some apps for it that have augmented fun. I have actually covered that on another article that you can read here. If you want to get in on this action, head over to the Orbotix site and pay about $129.99. By the way, if you want to have a little more traction on your Sphero, get yourself a Nubby for an extra $14.99. Just look at the Sphero store if you need more explanation.